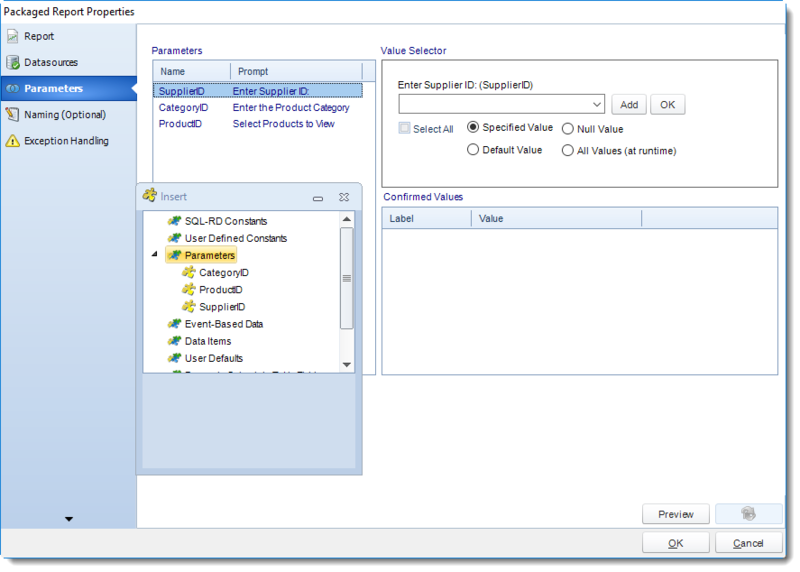 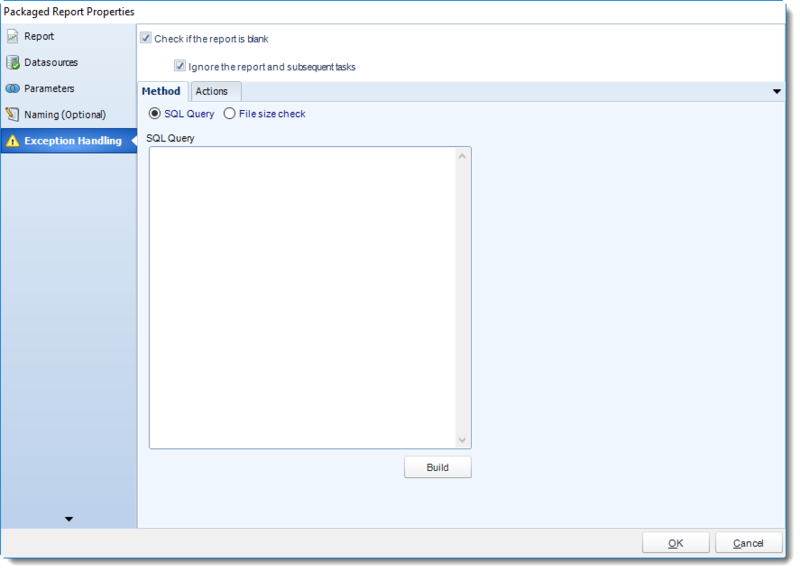 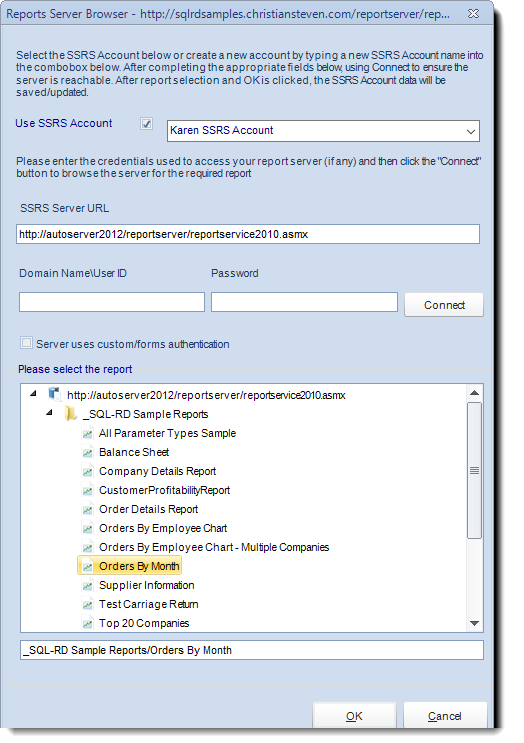 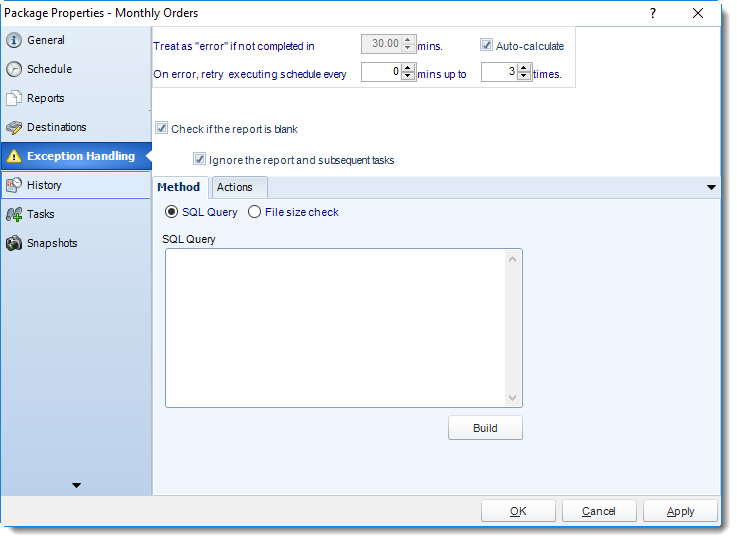 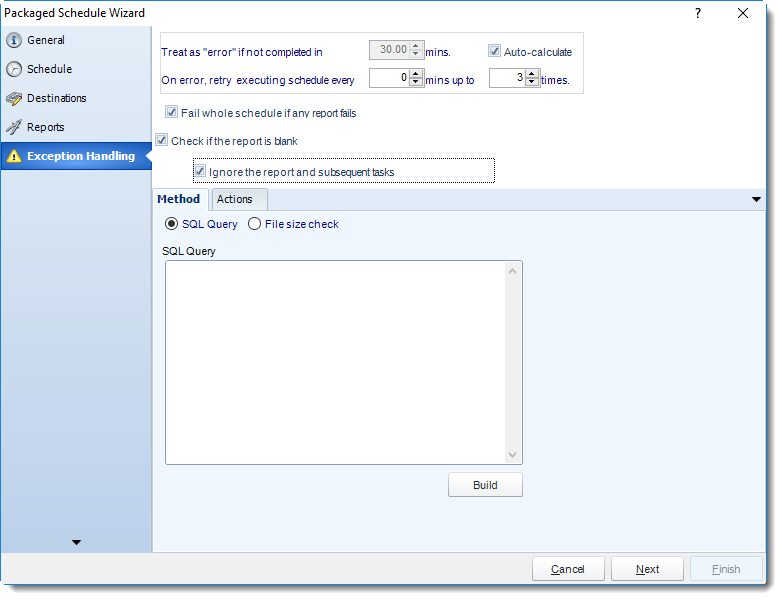 How do I setup a Package Reports Schedule for SSRS in SQL-RD? 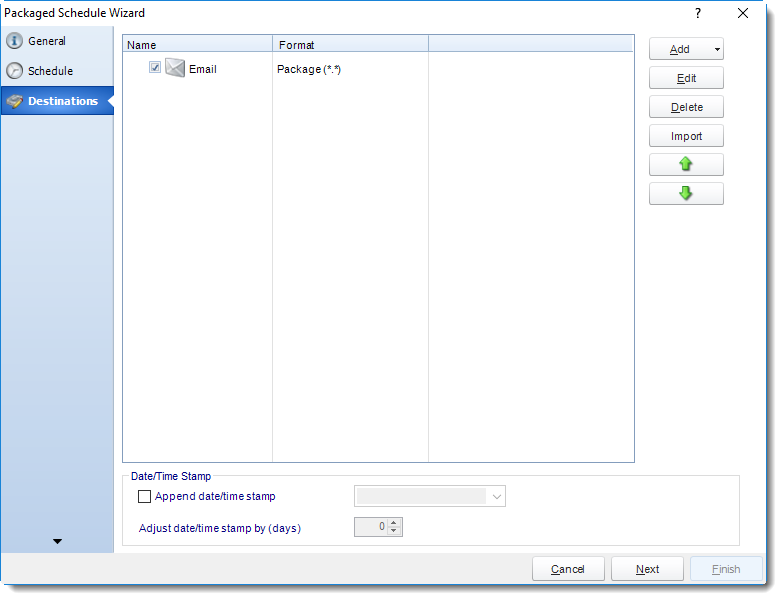 The purpose of the wizard will be to guide you through the process of setting up a number of reports to be generated at defined intervals and delivered to one or more defined destinations - together. 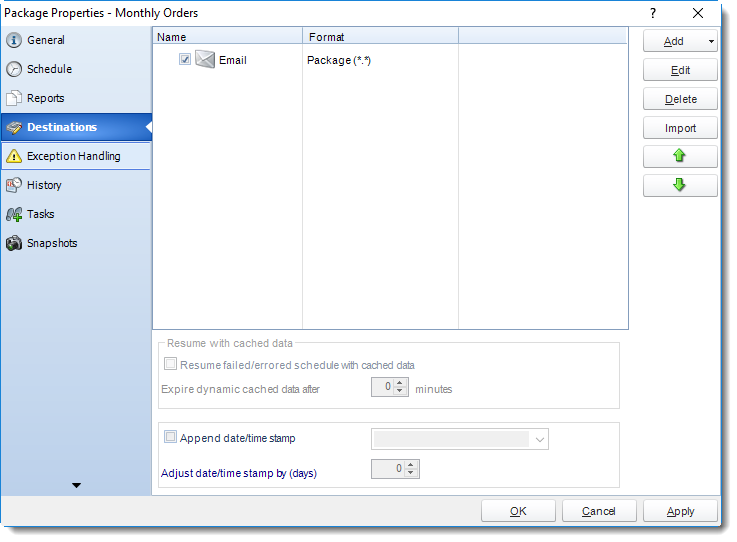 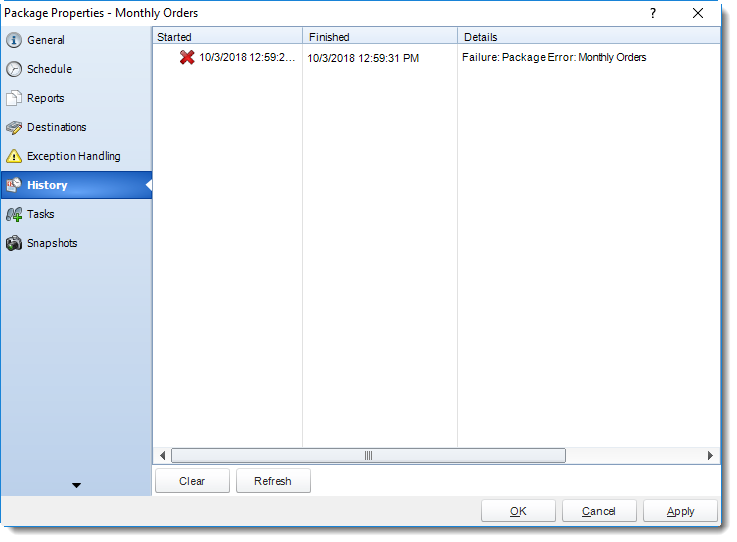 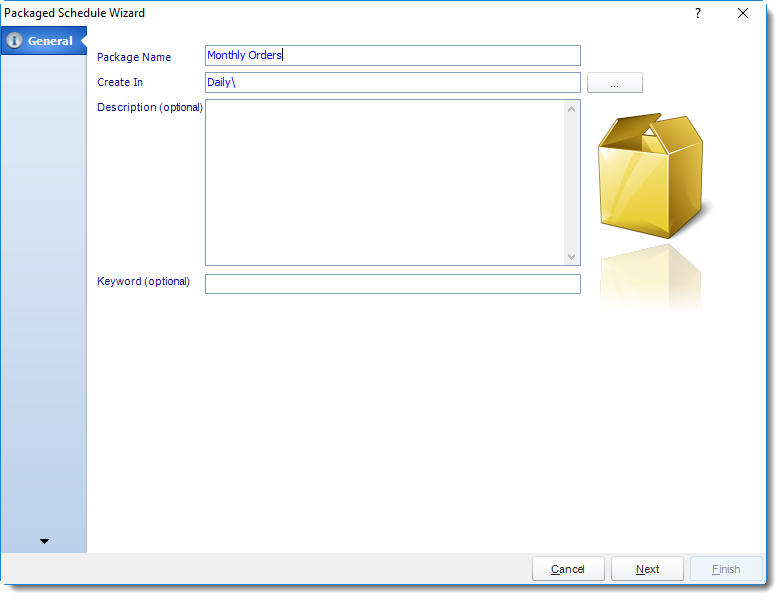 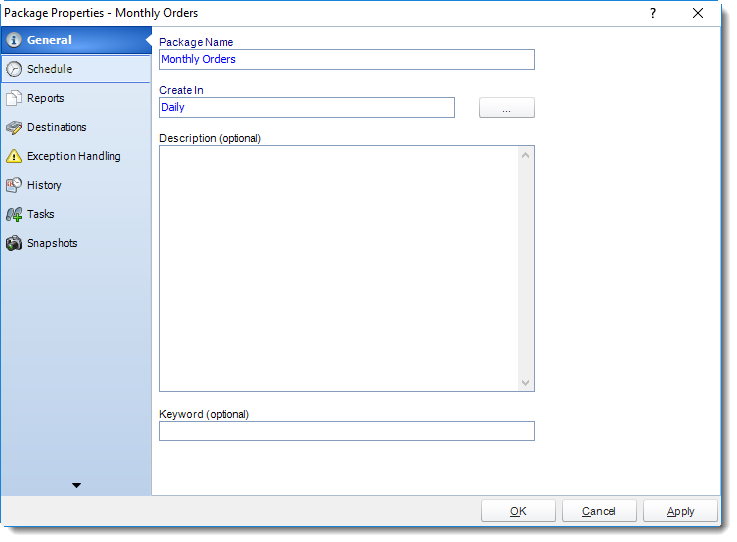 Package Report Schedule for SSRS. 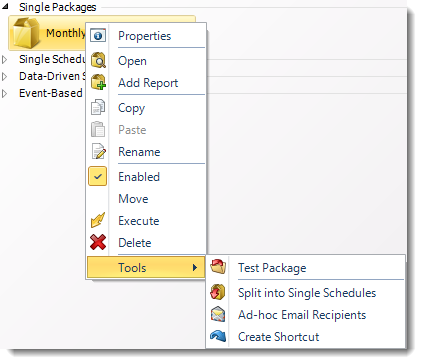 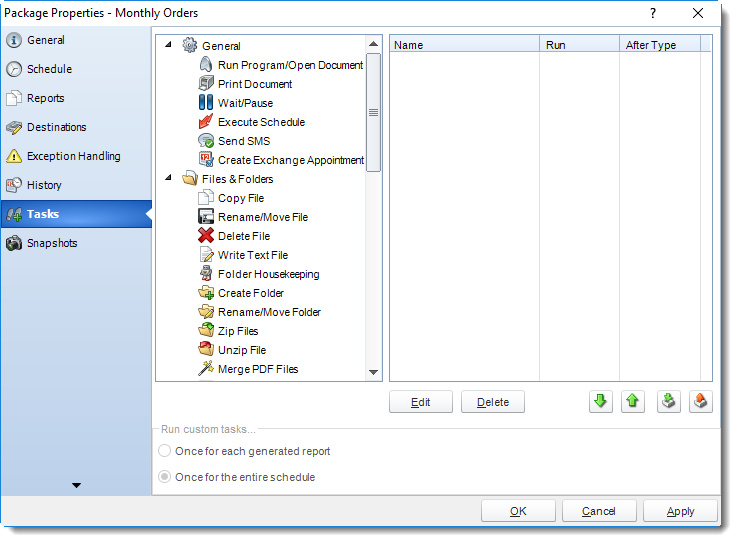 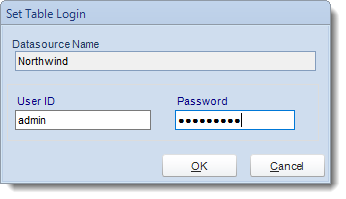 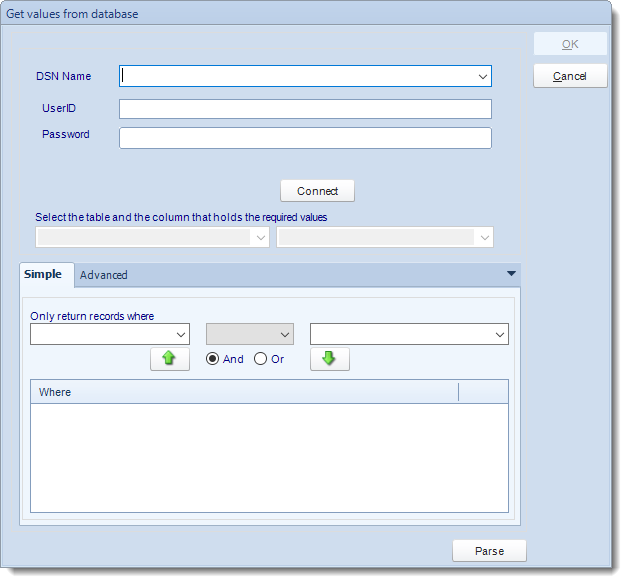 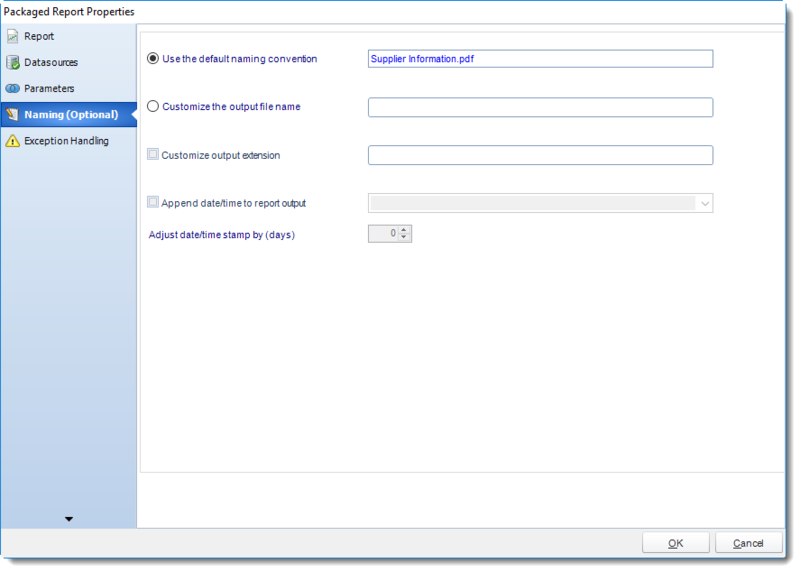 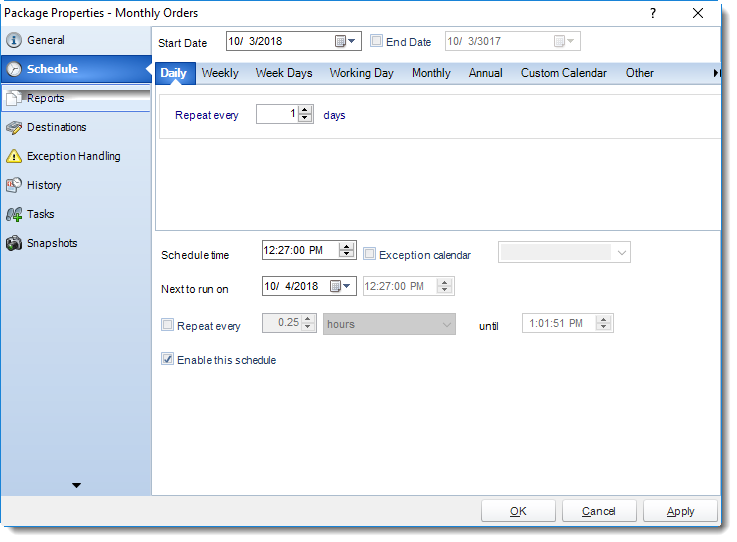 Example: Your entire monthly report pack (consisting of a number of reports) can be sent to a recipient with all reports attached to the single email. 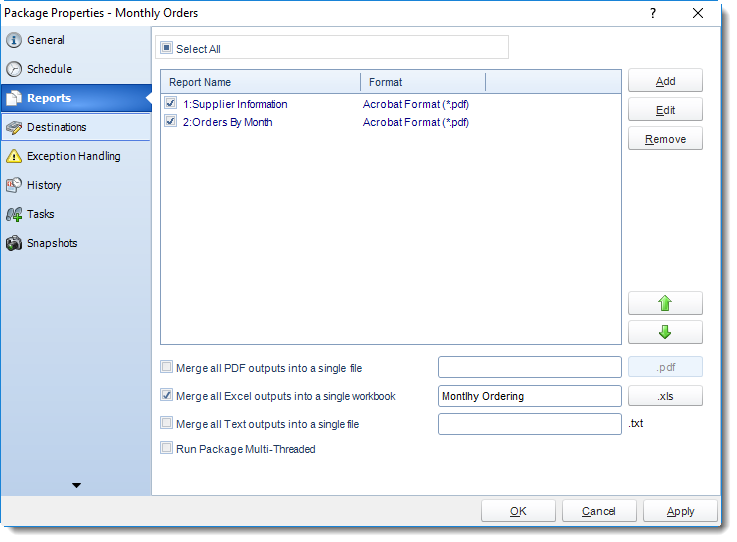 You can also zip up the reports into a single zip file, or export them out to a single Excel workbook, or export & merge them into a single PDF file. 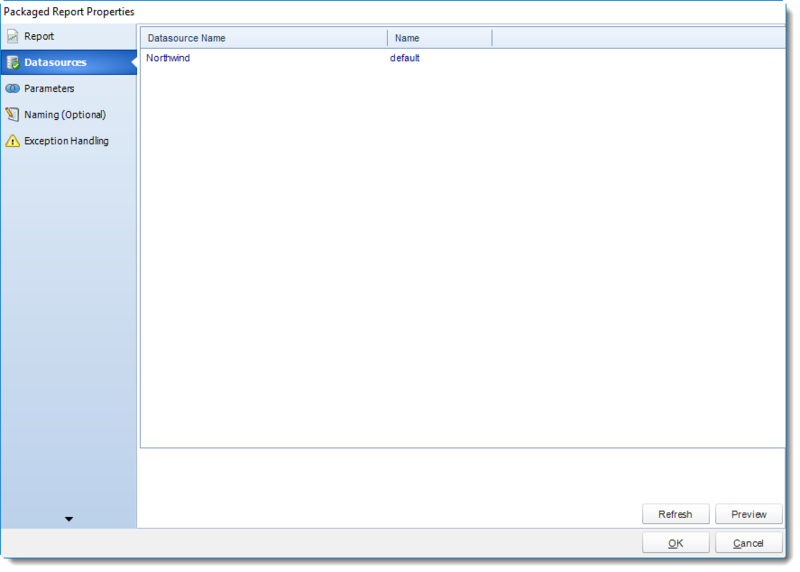 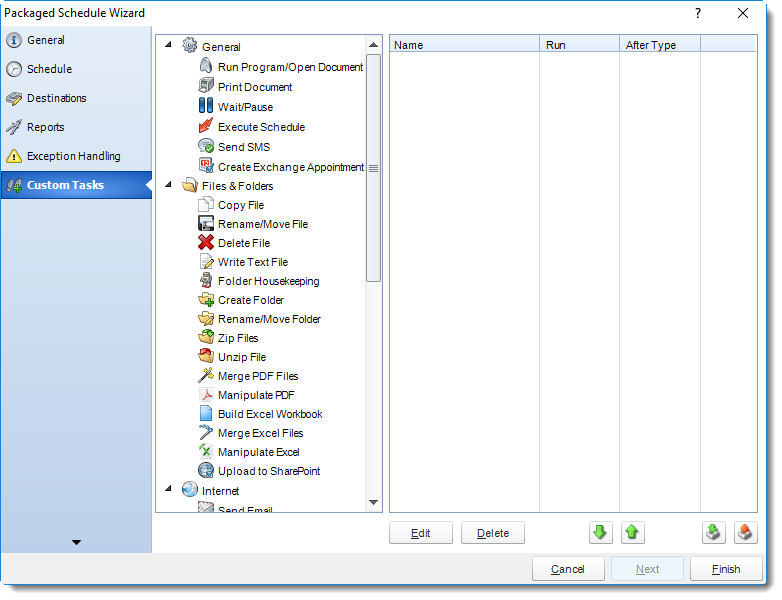 Merge all Text Files: Check this option to merge all text files and give the file a name. 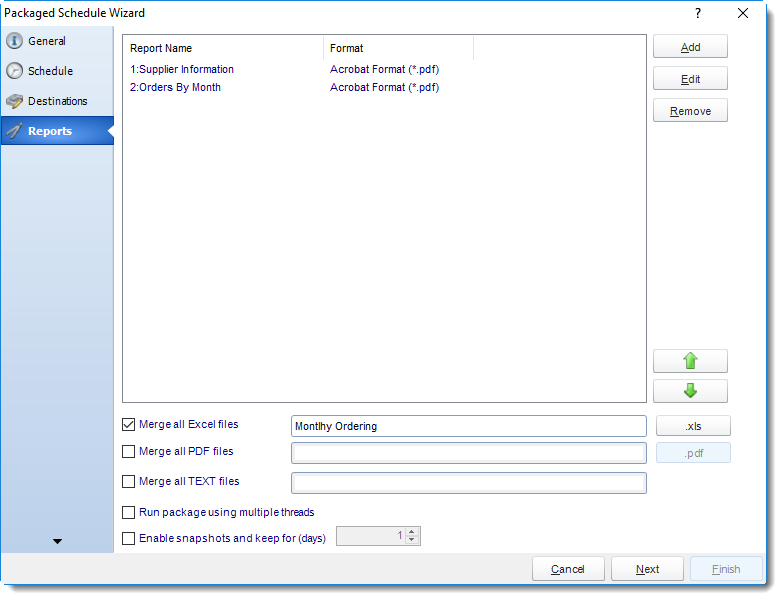 Run Package using Multiple threads: This allows up to 8 reports to be exported simultaneously. 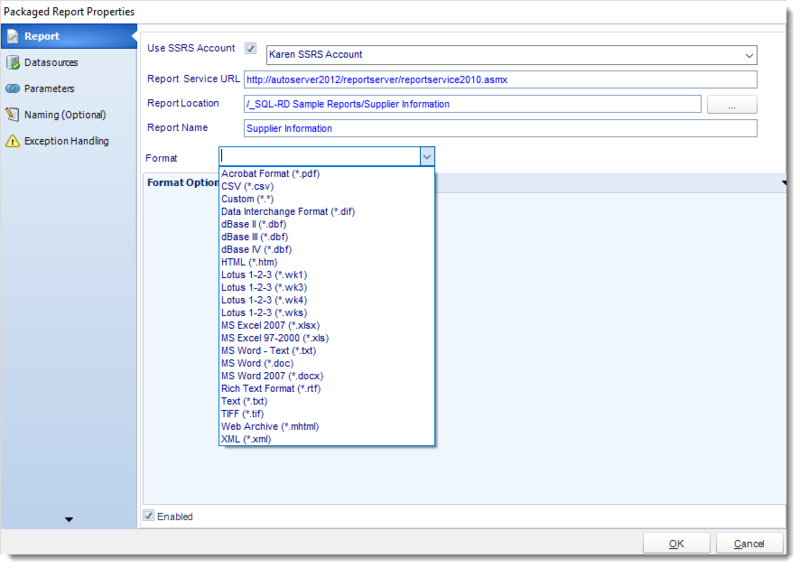 Each report in the package can run concurrently. 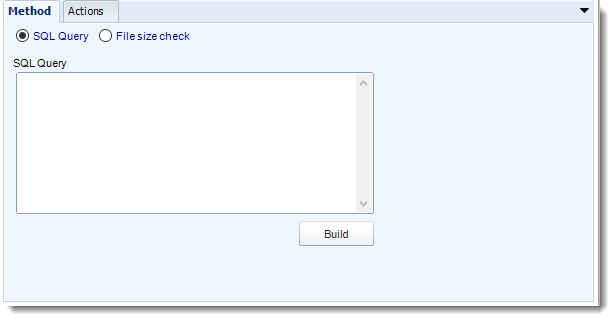 See Multi-threading for more info. 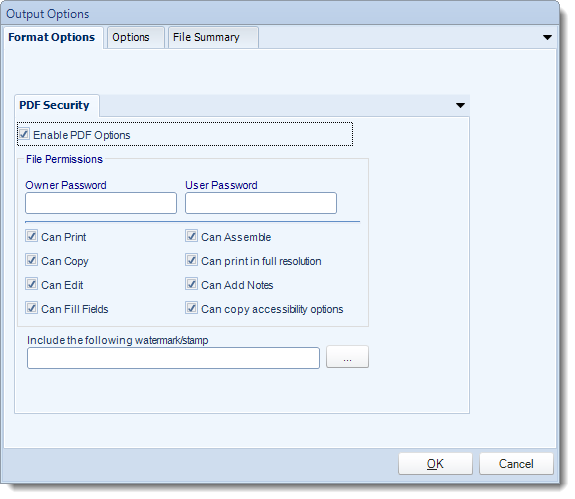 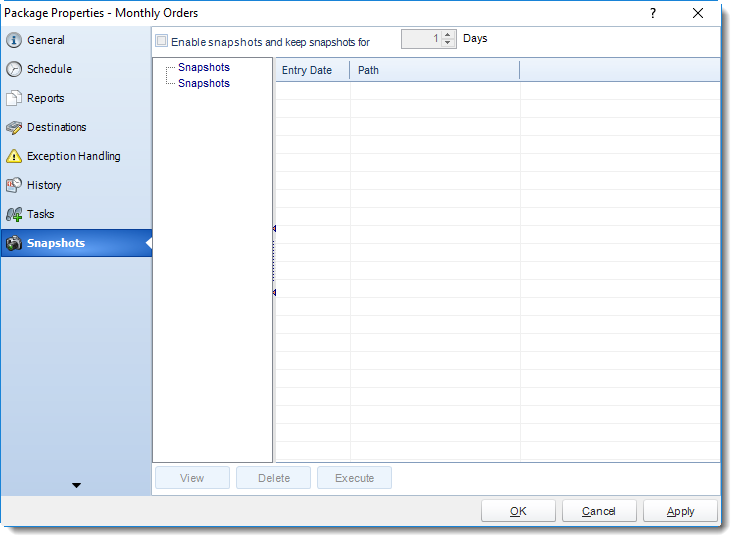 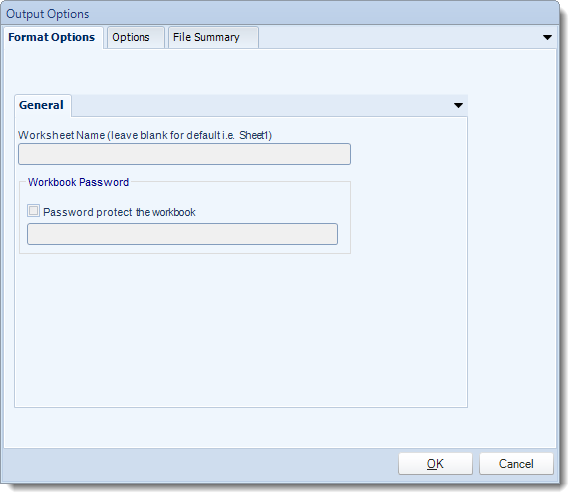 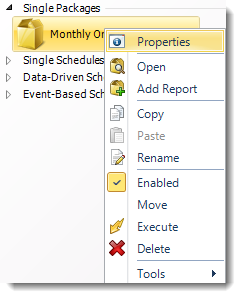 Enable snapshots and keep them for (days): Keep a copy of the report for how many days. 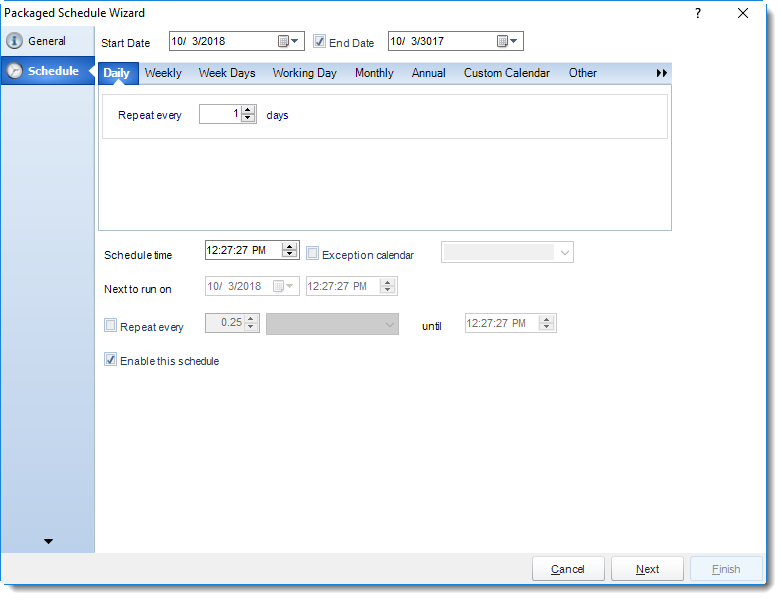 System resources will be shared so this will not always mean that reports will take 1/4 the normal time.